Fuse: 0.5 Amp for 115VAC and 100VSC, 0.25 AMP for 230 VAC. 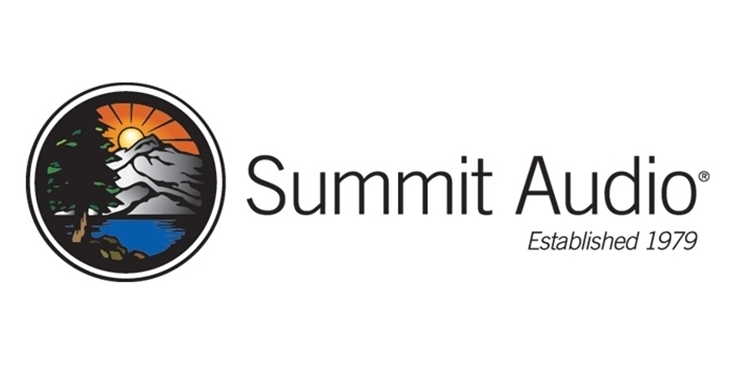 The Summit Audio TPA-200B is an incredibly easy to use dual channel preamplifier marrying a classic tube and transformer front end design with a more modern solid state output stage, resulting in ultra clean gain that really lets the warmth and rich harmonic detail of the tube come through. 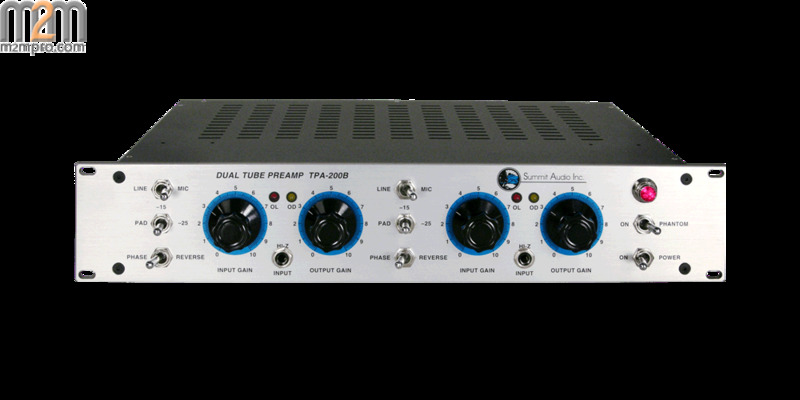 The TPA-200B allows you to set gain clean and pristine or layer tube input saturation all the way to thick harmonic distortion with all sorts of variations in between. 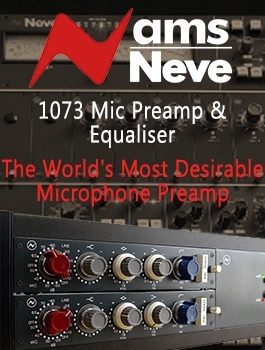 This is the swiss army knife of mic pres! 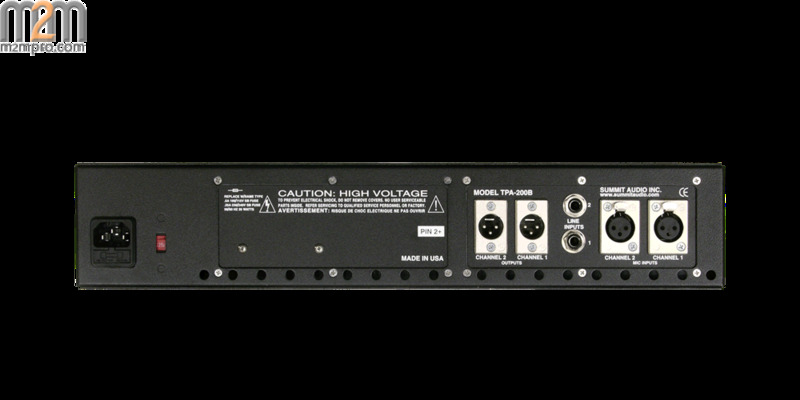 Each of the two channels has its own set of knobs that control input gain and output gain. 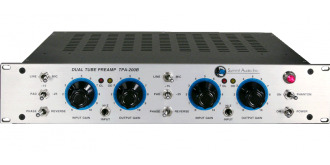 For cleaner applications, set the input gain lower and the output gain at maximum. 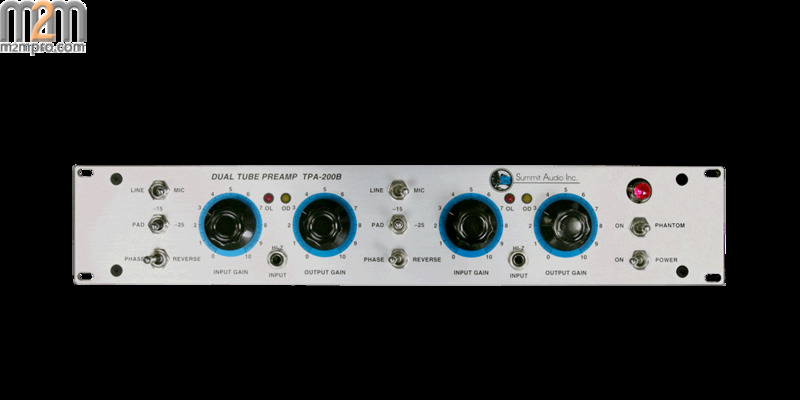 For more harmonics and tube distortion, simply increase the input gain while decreasing the output gain to balance the overall signal level. The Jensen input transformers have an open and airy top end that easily handles everything from the most delicate, nuanced program material to incredibly dense and dynamic signals, making the TPA-200B the perfect choice for adding analog warmth to the often sterile world of digital audio.